New Look, Same High Protein Nutrition & Meaty Taste your dog loves! CORE Tender Bites is made with 70% raw protein ingredients, gently air dried for a tender, meaty meal or mixer that is packed with nutrients such as natural DHA from Salmon to support brain and eye health. 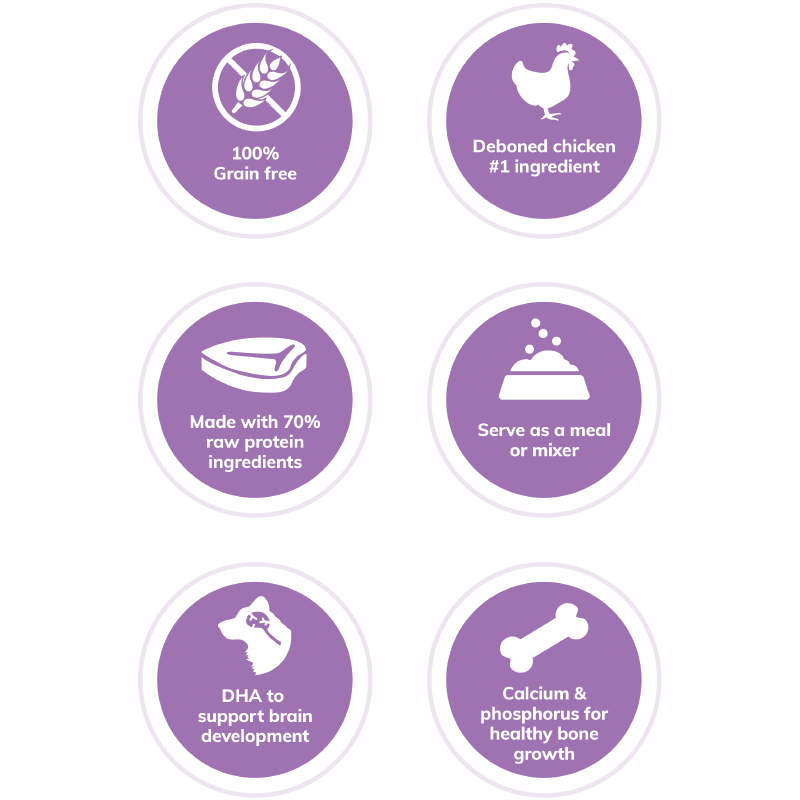 With more of the protein that your puppy craves, and no fillers like wheat, corn or soy, it’s easy to provide the nutrition your puppy needs to thrive from the core. Calorie Content: This food contains 3,744 kcal/kg or 434 kcal/cup ME (metabolizable energy) on an as fed basis.